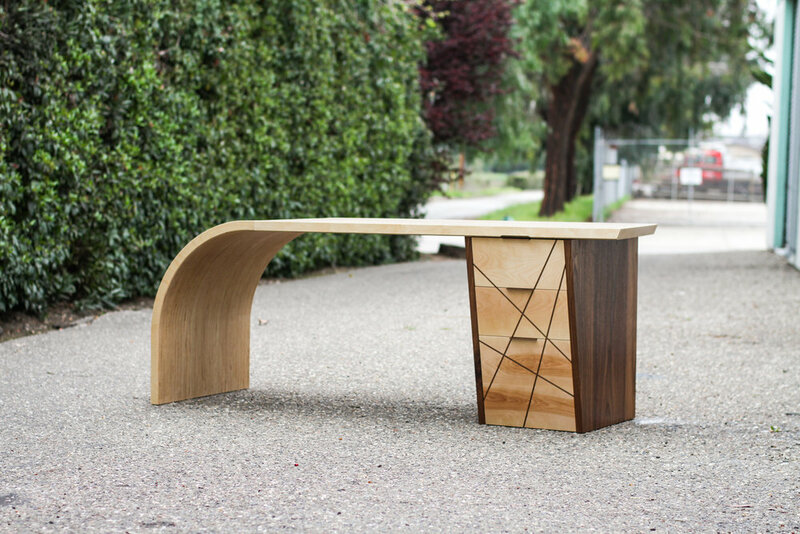 The Frequency Desk is the latest addition to the Super Ply Collection. 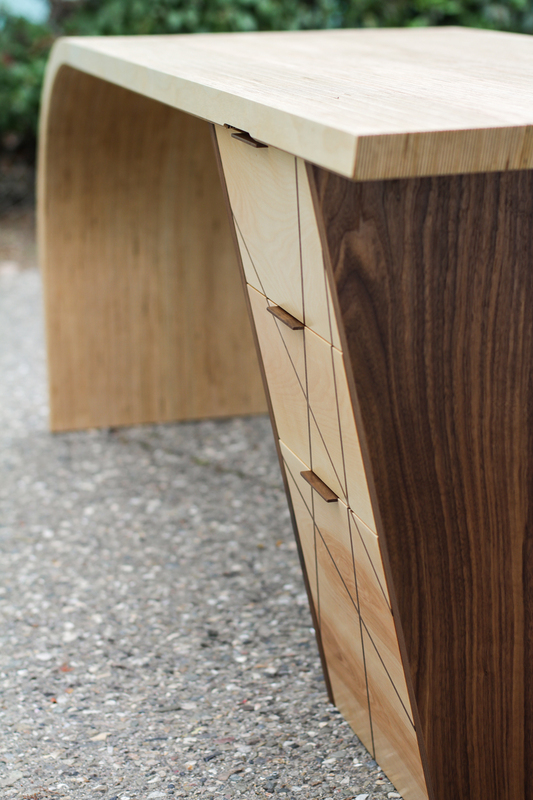 Featuring a layered plywood desktop, a solid Walnut cabinet, and Birch drawer fronts with Walnut inlays. The cabinet also features soft-close drawer slides, and simple Walnut drawer pulls. 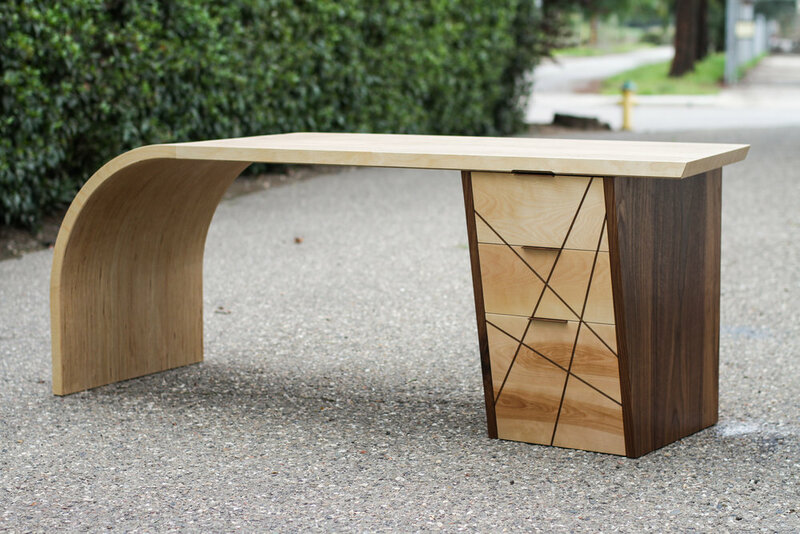 All of this combines to create The Frequency Desk, a piece that is sure to add style to any office. Can be made to any custom specifications.